Donated to Daly House Museum from Mrs. Denis Roberts. Prior custodial history is unknown. Photograph of J.D. 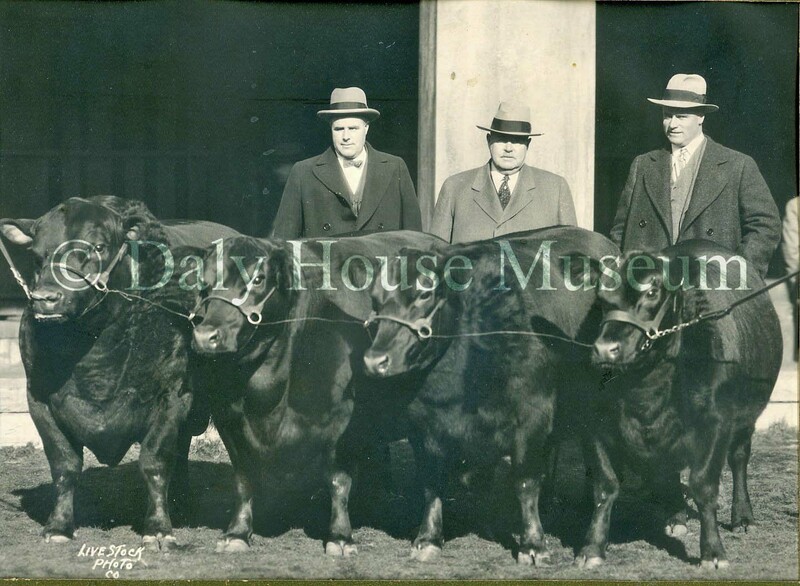 McGregor (center) with his prize winning Aberdeen Angus cattle. Printed on border on front under the heading "A Product of Glencarnock": "Revolution 7th - First prize aged bull, Senior and Grand Champion. Black Lass Glencarnock - First prize cow and Senior Champion female. Edella of Glencarnock - First prize two-year-old heifer. Glencarnock Jessie 9th - First prize Junior yearling, Junior and Grand Champion female Chicago Inernational Exhibition, 1927. 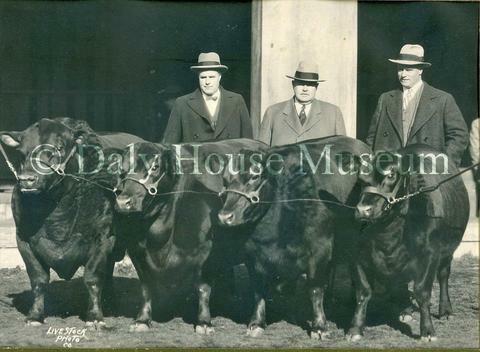 All four animals bred at Glencarnock Stock Farms, Brandon, Manitoba, Canada."